Fly. – Life Is Such A Sweet Insanity. So I went flying today. It was the first time in 2019 that I sat behind the controls in the cockpit. It was the first time ever for partaking in this activity in a Diamond Star DA-40. After some ground school, a very pleasant instructor went up and I tried my hand at flying the DA-40 for the first time. I’m expanding my horizons. I have personal goals I want to meet this year. Now that weather is starting to cooperate, it’s time to fly. I’ll also be reviving my aviation blog during this coming week. In the meanwhile, I’m looking forward to another flight tomorrow. The winter blahs may be lifting. I put myself on the club airplane schedule. I’m going to knock some rust off my aviator skills with an instructor and get ready for a spring and summer of flying. I will never understand how my dad and grandfather went the entire winter without flying at all. Not getting up there gets me way too moody. I flew my biennial Flight Review yesterday. A requirement for private pilots, every two years we must fly with an instructor to make sure we still know what we’re doing, we know the latest changes in regs, and we can still handle the aircraft in a safe manner. 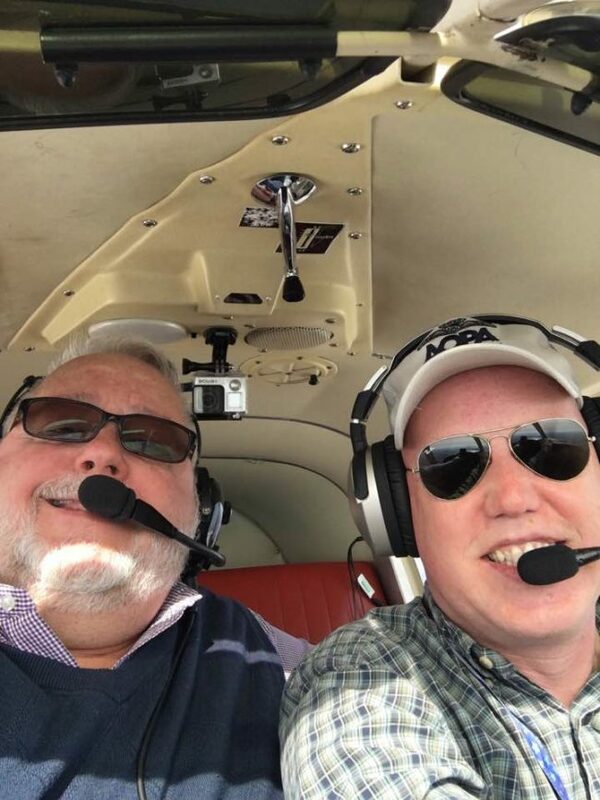 I took the opportunity to fly with my friend Chuck in 32J at KRME while we were in town for the holidays. I hadn’t flown the ’66 Cherokee since July 2017. It felt very comfortable as soon as I started the prop. I was a little rusty on a couple of maneuvers but I figured things out. I had three great landings and I was smiling the entire time. Flying in the Chicago area brings different challenges versus flying in Upstate New York but it is still very much enjoyable for me. We’ve been talking about pilots becoming “av-gry” when we don’t fly enough. I hold that belief to be quite true. If I don’t fly as much as I’d like to I can be quite cranky. Let’s hope Mother Nature shows mercy for us private pilots this winter. Here’s a photo from my flight as I was practicing an engine out emergency decent. I’m sitting here at Wittman Regional Airport during #OSH18, or EAA AirVenture 2018, the largest aviation celebration in the world. This is the fifth time Earl and I have been here, this is my sixth time total. We’ve been here since Thursday. Watching the crowd during the afternoon air show, I can’t help but imagine how many different ways people are excited by aviation. Some folks are here to learn how to build an airplane, others are looking to find the best deals to upgrade their existing aircraft. Families are here to see the air show. Some see it as a NASCAR event in the sky, others see it as a feat of magic when man can fly like a bird. My dad loved aviation. He was always reading aviation magazines, he watched war movies featuring a lot of aviation, and we spent a lot of time as a family at the nearby grass field we called an “International Airport”. Both my dad and grandfather loved building airplanes; my dad built two of them from scratch. This week I described my dad as a “build and fly” guy, and I referred to myself as a “buy and fly” guy. I don’t have the patience nor talent required to build an airplane. I could barely get through a model airplane when I was a kid. But like my dad, I enjoy reading any and everything I can and courtesy of the Internet, I love sharing photos, videos and experiences with other aviation enthusiasts. This little vacation at Oshkosh has been too short. It has been immersive, it has been thoroughly enjoyable, but I’m not ready for it to end. I can’t get enough time around aviation. I’ve already told my husband that next year I want to spend the entire week here. We will make that happen. He thoroughly supports my aviation endeavors and I will be forever grateful for that. I am fortunate that my family was able to pass their love of aviation down to me, which sparked a fire that I know was meant to be there. Earl and I don’t have kids; to pass this enthusiasm forward will require me to fulfill my dream of becoming a CFII, or a Certified Flight Instructor. I’ve been saying this for a couple of years. To make this happen I need to reposition my focus and eliminate distractions. I have a finite amount of bandwidth; it’s my responsibility to use that bandwidth the best way possible. I need to keep an eye in the sky and keep the nose on the centerline. Late last night Earl mentioned to me that there was an airplane crash about 15 miles north of the house. He asked if I knew the pilot. When he saw my startled look he realised that I did indeed know the name. Jon was a super nice guy. Soft spoken. A pretty strong advocate for the general aviation community. He did not survive the crash of his ’46 Luscombe yesterday afternoon. May he fly amongst the angels. As pilots we are trained to respond appropriately to catastrophic scenarios while airborne. Our reaction should be instinct. Your airplane has just turned into a big glider and do what you’ve been trained to do to glide safely to the ground. Sometimes there’s simply not enough time to react fast enough. We do what we can do. When we takeoff we know the risk. And yet we defy gravity. Because that’s where our heart leads us. Jon’s passing yesterday weighed heavily on my mind all day today. I didn’t know him particularly well, but we had chatted many times. He had shared his adventures with the flight club. He had a passion that was very familiar. He seemed like a good sort. I had an instrument lesson scheduled for today. The weather was clear in every direction. Wind was nearly non-existent. 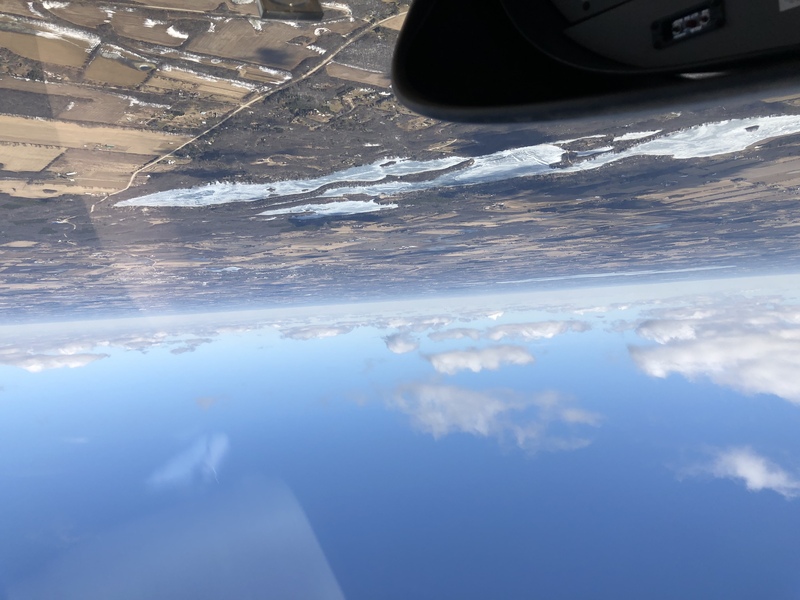 A small part of me was looking for a reason to not fly but a bigger part of my head said, “you have to fly today.” So my instrument instructor and I went up and flew and I nailed the practice instrument approaches to our airport. If I could just get past the book studying and the written exam I’d probably be a hell of an instrument pilot. I’m almost there. Almost. Determination. It’s like getting up on the horse that’s thrown you across the pasture. We do have what we have to do. And then we soar some more. So I’ve been working on my IFR, or Instrument Flight Rules, rating, the next logical step in my flying career. I have set some goals for 2017 and the next couple of years. My goal is to become a CFI, or Certified Flight Instructor, as part of my early retirement plan. I really want to lend my passion and excitement to training the next generation of pilots, no matter their age. This evening, my instructor Chuck and I went up flying to do some practice approaches while in a partial panel condition. “Partial Panel” refers to losing some key instruments while in instrument only conditions. I’m wearing foggles, which limits my view to the instrument panel only. This is like flying in the clouds. That’s when Chuck put stickers on two key instruments: the Attitude Indicator and the Heading Indicator. At this point, I needed to fly by the remaining instruments only, keep the airplane upright and safely get it to our intended airport. The lesson went very well. I’m feeling more and more confident flying by only instruments. I need to do some book studying to get the written exam out of the way and then I’ll be ready to start practicing for my instrument check ride. Never stop learning, it keeps you young. I am a lucky man to have a husband that doesn’t mind getting in an airplane with me and flying for three hours just for the heck of it. Fly Like An Eagle. I was just a couple of years off on this goal and dream of mine. On Tuesday I flew with an instructor and friend for my Biannual Flight Review. This flight review is required for private pilots that wish to continue flying. As suggested by the name of the event, it takes place every two years. I can’t believe it’s been two years since I went on my checkride. I was a bit apprehensive about flying this BFR because there are a couple of maneuvers that I haven’t practiced in a while, mainly stalls. I’m not a fan of stalling the airplane. My goal as a private pilot is to never stall the airplane. I want to keep the airplane flying. Honestly, stalls make me nervous and it is something that I need to get over. While I got through my BFR just fine, I need to go up with an instructor again and do some stalls. Lots of stalls. I need to stall the airplane until I laugh about it. After we dropped the instructor off, my friend Ryan and I went flying for a short flight just for fun. There was some weather moving in and the wind was providing plenty of opportunity for a crosswind landing practice, so we headed back to the airport. I have to say my landing was picture perfect. Ryan remarked on how great it was. I felt good for two seconds. Then the left main tire blew while the airplane was still moving at around 50 MPH. This made for an interesting challenge in keeping the airplane headed in a forward direction. I managed to get the airplane stopped and off the runway so that the airport could remain open. Ryan took a photo of me being cheesy next to the flattened tire. The club mechanic verified that my landing technique was not the culprit of the blowout but rather low tire pressure. 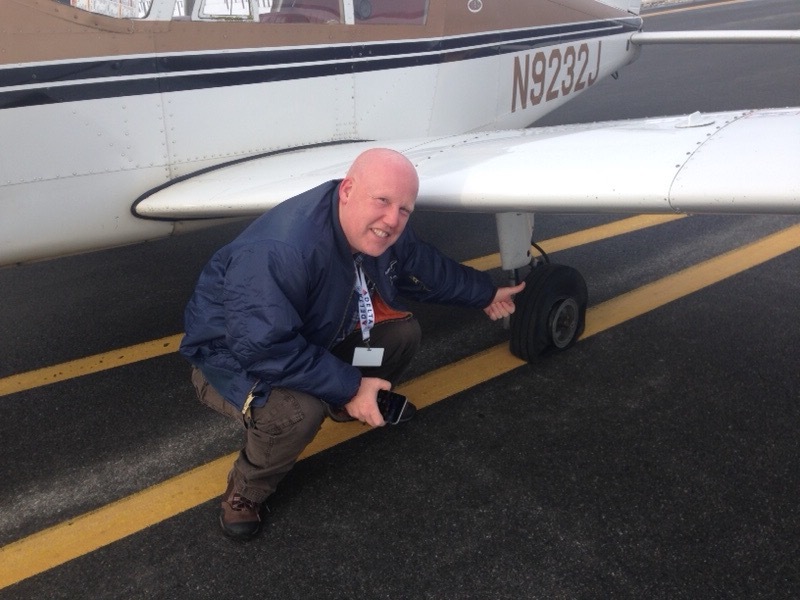 Visually inspecting the tire pressure during pre-flight is not solid enough for the cold weather at this time of year. From now on we’ll be checking the pressure with a gauge. This was my first incident during landing and while I didn’t get nervous as the events unfolded I did find it to be a good learning experience as I made my way through the challenge. Now I just need to get up there and practice those stalls! I’m a pretty lucky guy. I’ve made it into my late 40s relatively unscathed. I met the love of my life at a fairly young age and we have a good, albeit non-traditional, little family with Jamie. My career is going well and I enjoy my job. I get to work from home. We have a nice home. When I rediscovered my passion for aviation a few years ago, and subsequently began the path of a pilot, I immediately knew that flying an airplane was meant to be my second love. If I was 10 or 15 years younger, I’d definitely be pursuing a new career as a pilot, or at the very least, an air traffic controller. This is not to diminish what I do as a Software Engineer. I like my job a lot. I don’t dread going to work in any way. This is the best tech gig I’ve ever had. One of the distractions about working from home (and I’ve mentioned this before) is that we live directly under the approach for the local airport, Griffiss International Airport (KRME). While Griffiss is not a commercial airport in that we don’t have passenger airlines coming in and out all day long, it does get quite a bit of air traffic for the repair facilities on the field. 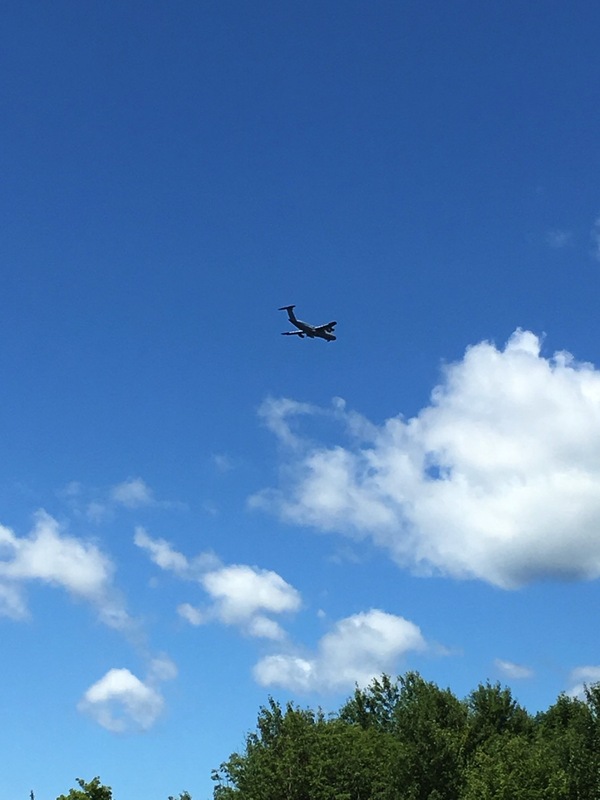 The runway at Griffiss is one of the longest in the Northeastern U.S. (it’s over two miles long) and because of this, military aircraft from the bases (Fort Drum, Stewart AFB, McGuire AFB) visit on a nearly daily basis to do their practice work up here. Long story short, we have a lot of airplanes that fly over the house every day. As a quick aside, whenever I fly over the house in one of the club airplanes as I make my way to runway 33, I send Earl a text message that says “Beep Beep!”. If it’s at night I’ll flash the landing light at him. He responds with “Toot Toot!”. I really like going outside to just watch the airplanes and helicopters fly over the house and I really wish I was up there flying those airplanes. My passion really is aviation. Twenty, thirty, thirty-five years ago I would have called it a “strong interest”. Back in my pre-pilot days, Earl and I spent many afternoons sitting at the end of a runway or in an airport observation area watching airplanes do their thing. In the back of my mind I knew that I would get to fly (non-commercially) at least three, four times a year with my dad as he was a private pilot. It wasn’t until after my dad died, when I was standing in the receiving line at his calling hours, that I realized that I could not leave my feet on the ground for the rest of my life. It was then that my strong interest sparked into a full blown passion, and Earl can attest to the fact that aviation, and more specifically, flying an airplane, has taken over my life. I am so lucky that I married the man that I did. He refuses to be a ground-based pilot’s spouse and wants to fly with me as much as he can. The man has to be a saint. With plans to earn more ratings and further my aviation career, I’m finding that there’s no denying that I’ve become a Pilot Obsessed. I have no plans in changing my official, income-generating career, because as I said before, I like what I do. But I definitely know what my passion is.